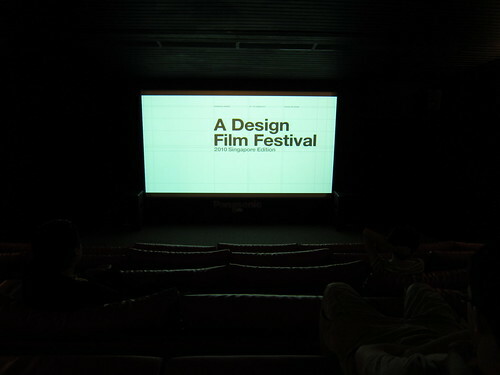 A Design Film Festival is on right now, featuring a slate of eight films about different aspects of design. Tonight I saw Milton Glaser: To Inform & Delight (he's the legend behind the "I ♥ NY" campaign) and tomorrow I'll be at Herb & Dorothy, "the extraordinary story of Herbert Vogel, a postal clerk, and Dorothy Vogel, a librarian, who managed to build one of the most important contemporary art collections in history with very modest means." The overall line-up's pretty impressive, featuring films about individual designers, as well as groups and movements. Check it out. Herb and Dorothy's apartment blew me away. I wonder if they'll leave any art $$ to the care of their cat. Have you seen the film? I think they've outlived a number of their cats.